Champion paraclimber and Team GB captain Sianagh Gallagher was born with just one arm – but that hasn’t stopped the York teenager reaching for the top. WATCHING Sianagh Gallagher ascend a climbing wall is a life-affirming experience. 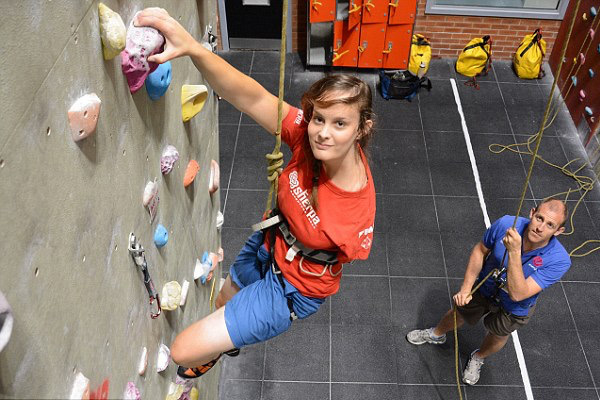 Born with just one arm, this teenager from Acomb seems to defy the laws of physics as she propels herself upwards. Gripping with her feet, she throws her right arm forward, grabbing the hold with her fingers. Relying on sheer stamina and her upper-body strength, she lifts each leg in turn, looking for the mini “ledges” protruding from the wall, on which to rest and rebalance. When she was born, one winter 19 years ago, doctors didn’t give her much chance of survival. Arriving 10 weeks prematurely and weighing just 2lb 11oz, she had no left arm, collar bone nor shoulder blade. Her lungs had collapsed and she had a curved spine, twisted pelvis, dislocated knee and both her feet were facing the wrong way. Doctors prepared her mum Jade for the worse. But baby Sianagh (pronounced Shanah) was a fighter. After several operations and gruelling rounds of physiotherapy to straighten her twisted body, Sianagh went on to reach all those childhood milestones: tying shoelaces, riding her bike, albeit with a lot more effort and taking extra time than her siblings and friends. Crucially, she grew up believing anything they could do, she could do. And so it was with this spirit that she first went “rock climbing” at the age of ten. Her primary school had arranged for pupils to undertake a six-week climbing course at Energise in Acomb. And better than OK. Sianagh discovered she had a talent for climbing. Aged 13, a teacher took her to her first competition for disabled people, and she never looked back. 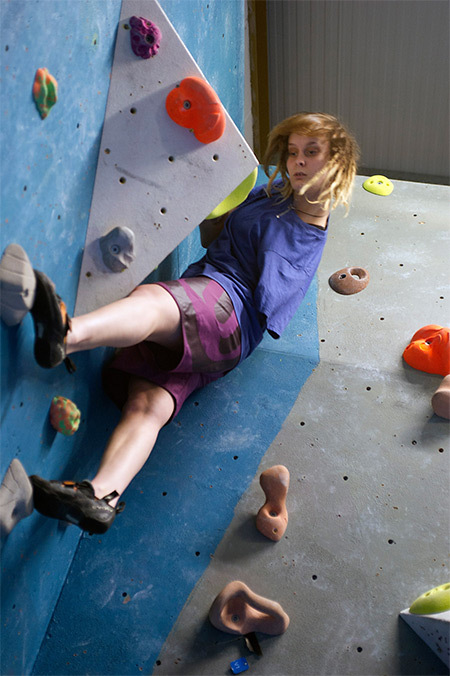 Two years later, she was selected for the Great Britain Paraclimbing team, becoming the first one-armed female climber to compete for her country. Training takes up a huge amount of time. Besides practising on the wall, there are gym sessions to fit in on top of regular work-outs at home. Sianagh also trains in her bedroom, doing sit ups on her bedroom floor, and hanging from the doorframe to build up the strength in her fingers. Most of her focus is on building upper-body strength and endurance so she can compete against the best in her field. Paraclimbing is yet to be classed as an Olympic sport, but is on the shortlist for the 2020 games. An announcement is due in August. Sianagh is hoping that it makes the grade and she gets to compete for her country at the highest level.